When trying to locate Destra I immediately went to Destra dot com and Destra Garcia dot com. 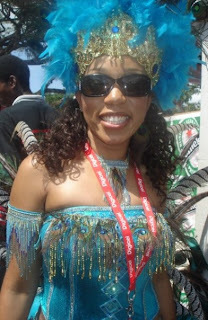 It appears that Destra Garcia is owned by a company in Miami and Destra is owned by a company in Australia. While it may take a little extra work to promote MyDestra.com, the site is very nice. However, this domain is not the first thing fans will think of when they want to learn more or get music from Destra. After learning that none of my first two domain choices for Destra was available. I thought about Destra Music dot com, this was not available either. It is owned by a company in Austria by the same name. There you have it a domain is just as important as putting out new music for your fans. Also, not even Destra Garcia dot net is available. I am not sure if Destra trademarked her name but this is how a artist can quickly loose control of their online identity.